Designing a language switch: Examples and best practices! And there might be a major interface problem, which looks like a tiny thing at first but is actually something to think about a little longer. What I’m talking about is the visualization of selecting a language. How can you visualize the option to change languages so that your global audience can choose which language they want to use? When offering a multilingual software or web services, you’ll end up at some point thinking about a language icon. A language icon is a visual aid, indicating the existing languages of the used application. The problem, however, is that there’s yet no standard definition on how a language icon or language switcher should look like. As I mentioned before there seems to be no standard definition on how a language icon should look like. I might be wrong. There’s a language icon initiative started in 2008 which aims to standardize the language selection icon. But have you ever seen that icon on one of your favorite websites or applications? I haven’t. And our user tests showed that people won’t recognize this icon as an option for selecting languages. It seems that the standardized language icon isn’t widely used. Even though many other sites – like Font Awesome – list the standard icon as their prior icon. So, we weren’t 100% happy with the language icon provided by the language icon initiative. As we continued our research, we found out that a globe icon is a popular icon used for language switching. The problem with globes? Different people have different associations with globe icons. If you’re a heavy facebook user, you’ll identify this icon as your notification center. So, definitely no globe icon for us. Intuitively, we tend to think about countries when we talk about languages. Chinese = China, Japanese = Japan, and so on. 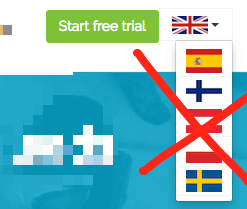 However, there are some major limitations when you start using country flags for your language switcher. There are design limitations if you use more than 20 languages for your app. Displaying 20 country flags can be quite messy. Countries do not represent languages, nor the other way round. Flags symbolize nations, not languages. It’s that simple. And I recommend to only use country flags if your product is different from country to country and not from language to language. So, you might wonder. How should I visualize a language switcher? The US government released a comprehensive guide on web design standards a while ago, so I was curious how they solved the problem of language switching. As you can see in the screenshot below, USA.gov makes use of a language button and its styling is clearly defined by its web design standards. Text links for offering language switching option are widely used. Google.com can be named as a great example here. 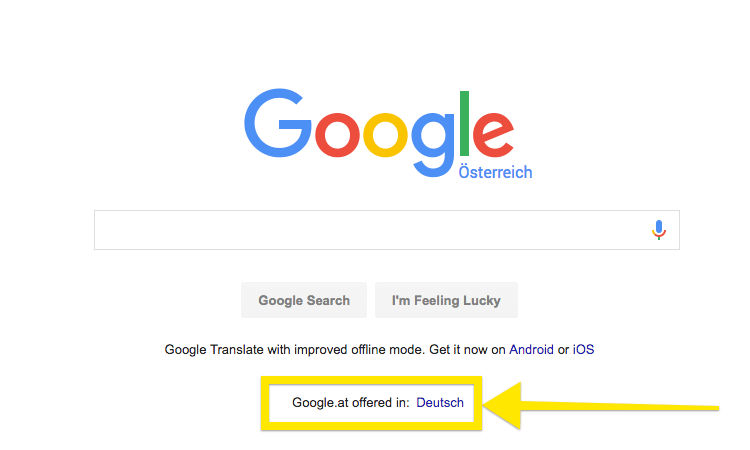 Text links are a great way to offer your website or app in other languages. By embedding the language switcher in your main navigation, users will easily find the option to change languages. Trello, for example, embedded the language switch in the app settings. 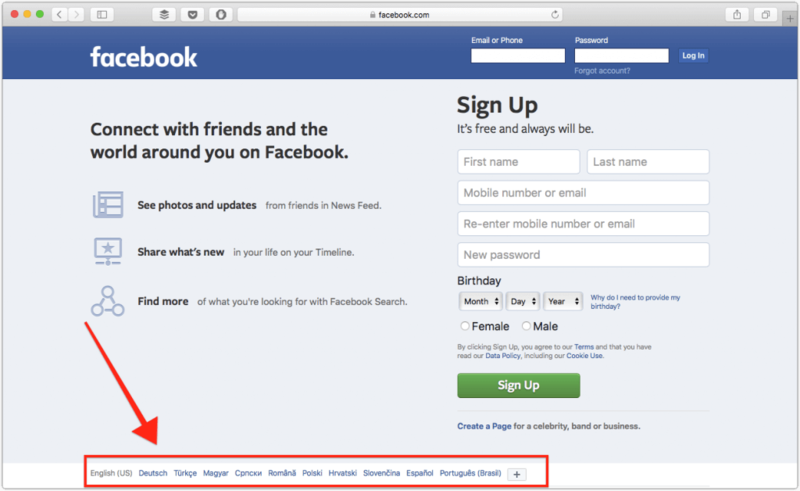 Other websites and applications enable their users to change languages in the footer section of their site. After much discussion, user testing, and meetings we decided not to use any icon at all. Why? Because it seems that there’s no language icon available which creates a mutual understanding. As we already had a text-based language selector on our website, we decided to be consistent. 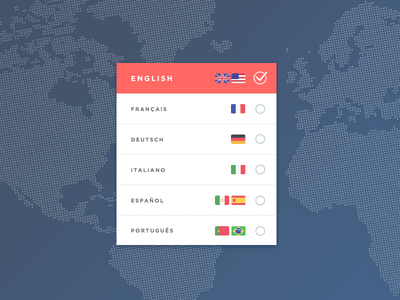 When you offer a multilingual website or product, thinking about the language switcher is probably not the top priority. Making use of various language icons, country flags, or other graphics can lead to confusion and doesn’t create a mutual understanding of its features. Therefore we at Usersnap decided to use a simple text-based switcher. A well-designed language selection option is one of the key things that enhances usability and creates a simple user experience for your website visitors and customers.